This week, the hosts of one of Godless’ favorite podcasts to troll — the Bad Christian Podcast — are our guests. Podcast hosts Matt and Toby also play in a Christian Rock band called Emery. They stopped by the studio to get grilled about all things Christianity, the topic of Christian Metal and whether or not it’s legit, if the guys making it are believers, or if it’s just another cash cow people use to further their influence. Half of our discussion appears in our episide this week, then we’ll dive into the fallacy of religion on the newest episode of their show later this week. 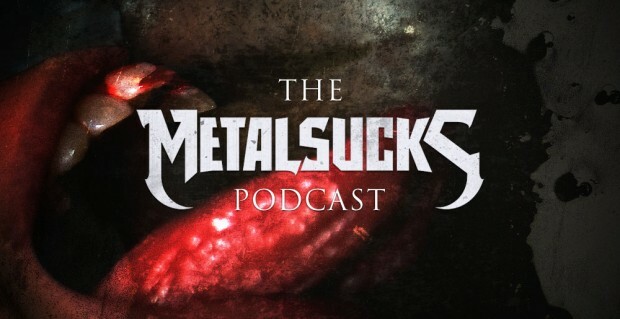 Chuck and Godless also talk about the latest news: the passing of our friend Athon from Black Tusk, why Black Sabbath shouldn’t have been named the #1 Best Metal band of All Time in the MetalSucks countdown, and why that awesome metalhead scientist wore that stupid shirt to a press conference. We also take a reader call-in and discuss some small but beloved bands people may not know about.